South India based Assisi Garments is one of the first social businesses we worked with and produces beautiful Fairtrade and GOTS certified garments from cotton spun at their own spinning factory. The close partnership between People Tree and Assisi Garments meant that our supply chain was the first in the developing world to entirely achieve the Soil Association Global Organic Textile Standards mark. Once set up by Franciscan nuns, it started by providing training and employment for deaf, mute and economically disadvantaged women and grew further. Assisi Garments now keeps on investing in the community by supporting various social projects, including a cancer hospital and an AIDS rehabilitation centre in South India. As a long term People Tree partner, they produce many of our cotton jersey pieces from yoga wear and essentials to printed tees. 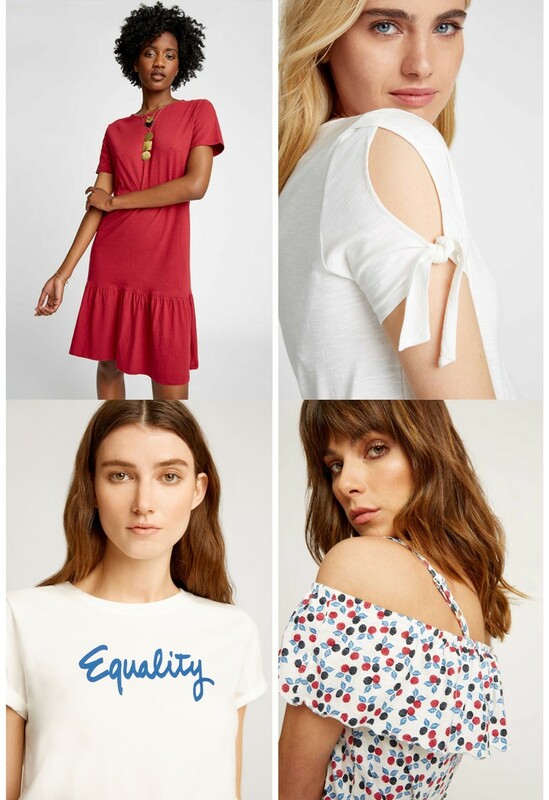 This season they crafted the range of red and white tops from light slub fabric and the summery berry print pieces, as well as our iconic Equality shirt.